is fit for the contemporary dining table. and good heat conduction lead to efficient cooking and easy washing. 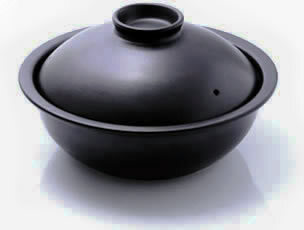 “Steam” ,“boil” , “simmer” , or “fry” , the versatility of the series allows for application to the many styles of global cooking. For use on gas (direct flame) heaters. However, since use of both IH cooking heaters and gas are becoming increasingly popular in private homes, an IH Hot Carbon Plate for use with IH cooking heaters are also sold separately. 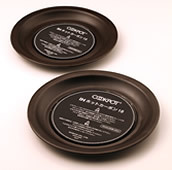 For use on IH cooking heaters, place on a special ceramic plate. For use on gus　(direct flame) heaters. 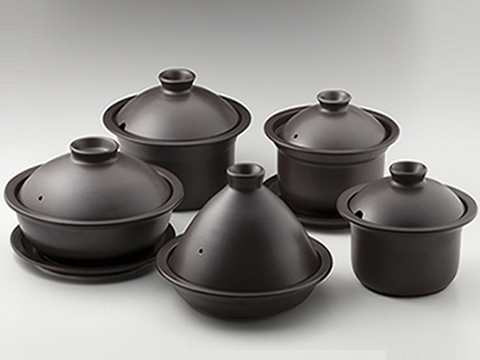 For use with IH cooking heaters, place on a COOKPOT special IH Hot Carbon Plate Set.